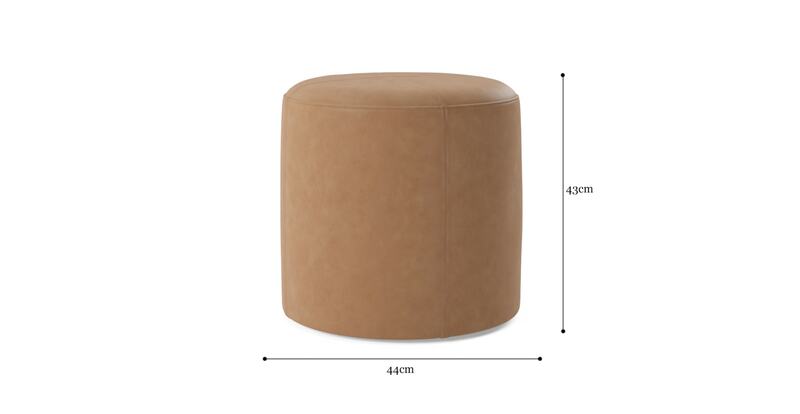 The Alexa Small Leather Round Ottoman is a cool and contemporary way to add a timeless touch of leather into your interior! Made from 100% pure premium quality leather with a rustic finish, each piece has its own unique markings and appearance. 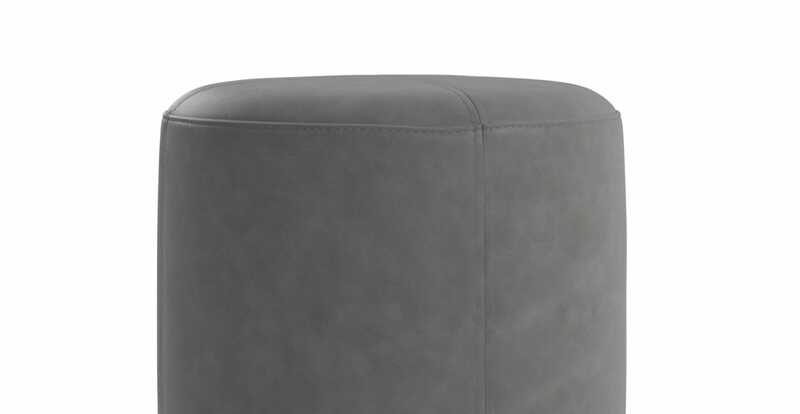 Pure leather is a premium natural product, meaning it will display normal characteristics such as colour variations, marks, scratches and scuffs.The ottoman comes from the matching Alexa Collection. The small size and simple silhouette of the Alexa makes it easy to match with any style. All Brosa leather has been meticulously hand selected and treated to ensure it only grows softer with age. 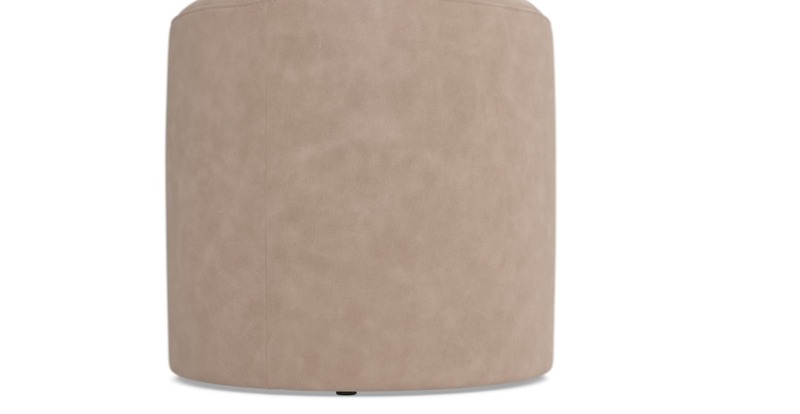 Take your pick from five gorgeous shades for the Alexa Small Leather Round Ottoman. All dye has been expertly fixed, and the leather flattened and softened then protected and enhanced by a wax oil combination finish. Browse more leather furniture pieces from Brosa. Made from the best materials by a team of experienced craftsmen, the frame of the Alexa is built from solid and engineered wood, and softened by a dense foam filling. Discover ottomans in every style available at Brosa. What finish does this product have? 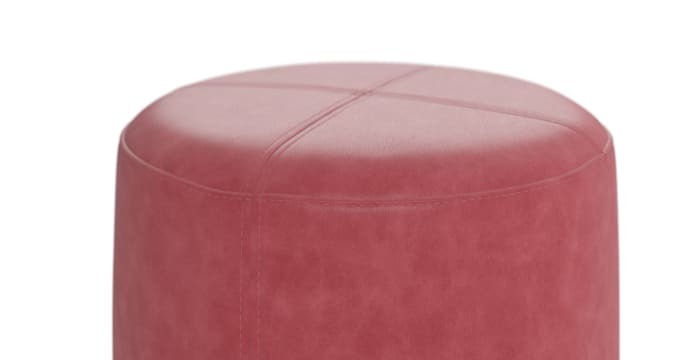 See, touch and feel our fabrics used on our Alexa Small Leather Round Ottoman. For Free! Simply select up to 3 fabrics and add them to your cart. Delivery is on us.